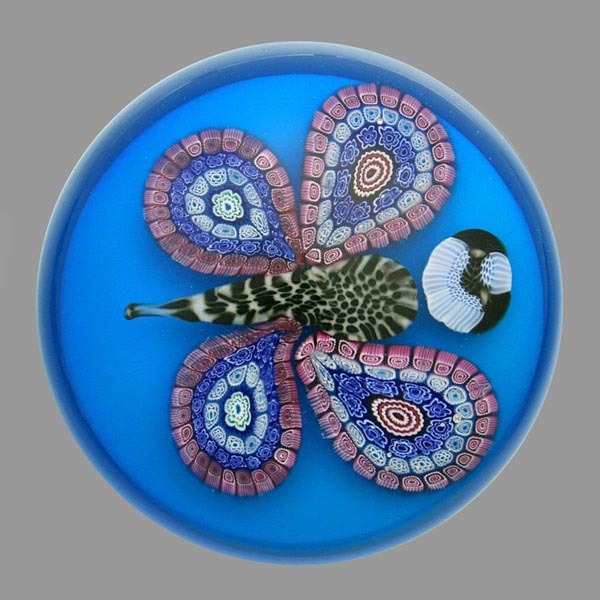 This project aims to help collectors identify Murano paperweights. 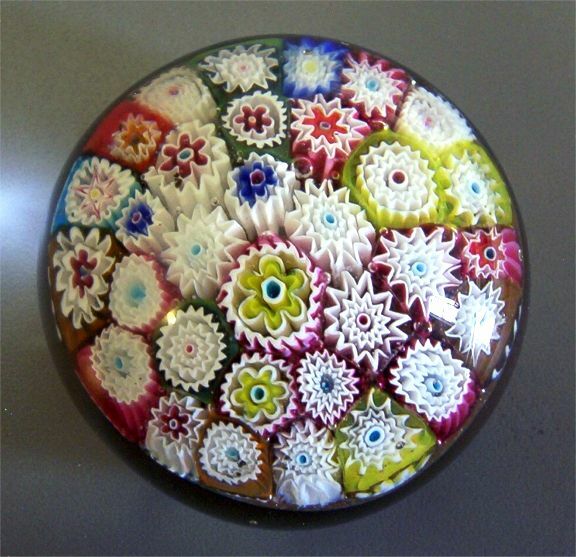 The three questions that it is intended to help with are: is it a Murano paperweight? 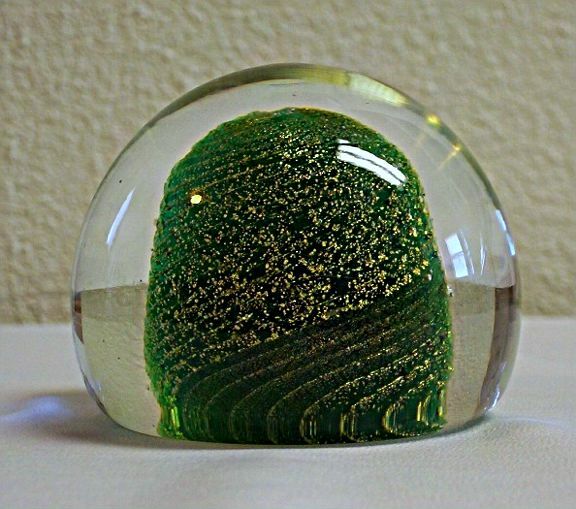 When was it made? 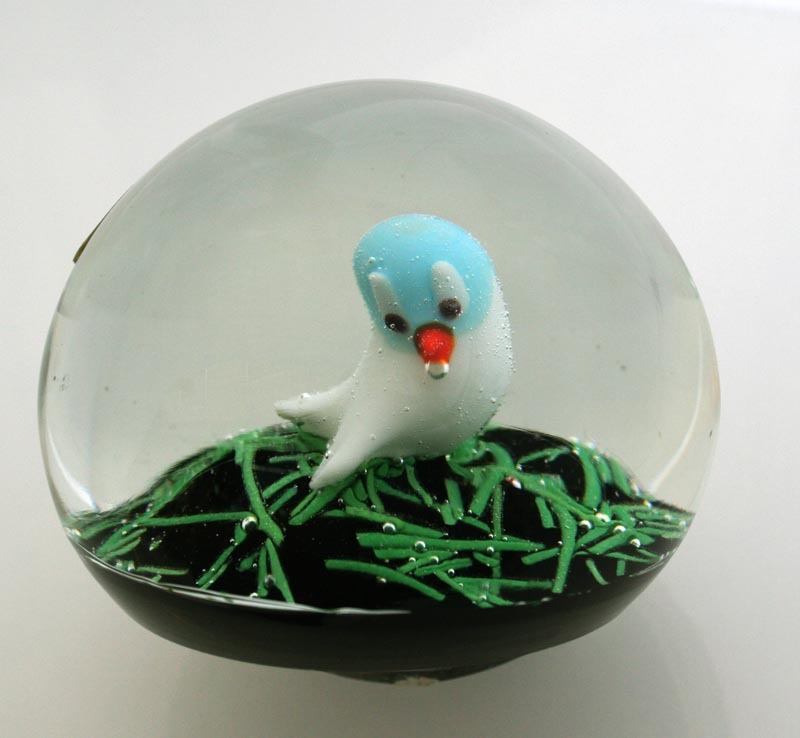 By whom was it made? 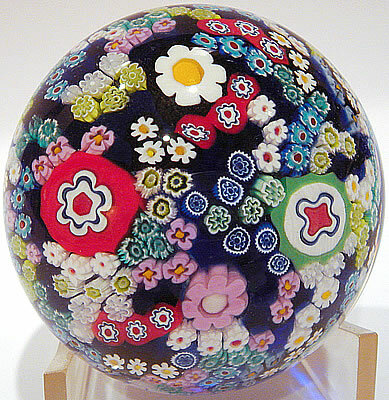 The project presents images of Murano paperweights from various makers and various dates, using labelled Murano weights where possible. Please click on the image for a larger picture. 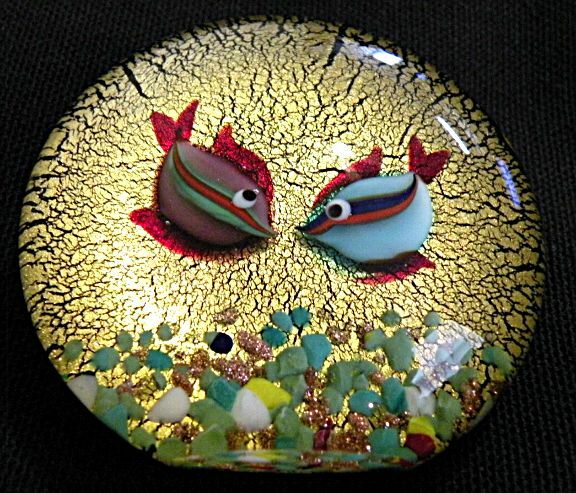 If you have a labelled (or known to be Murano weight) and know approximately when it was made, we would be happy to include images here. 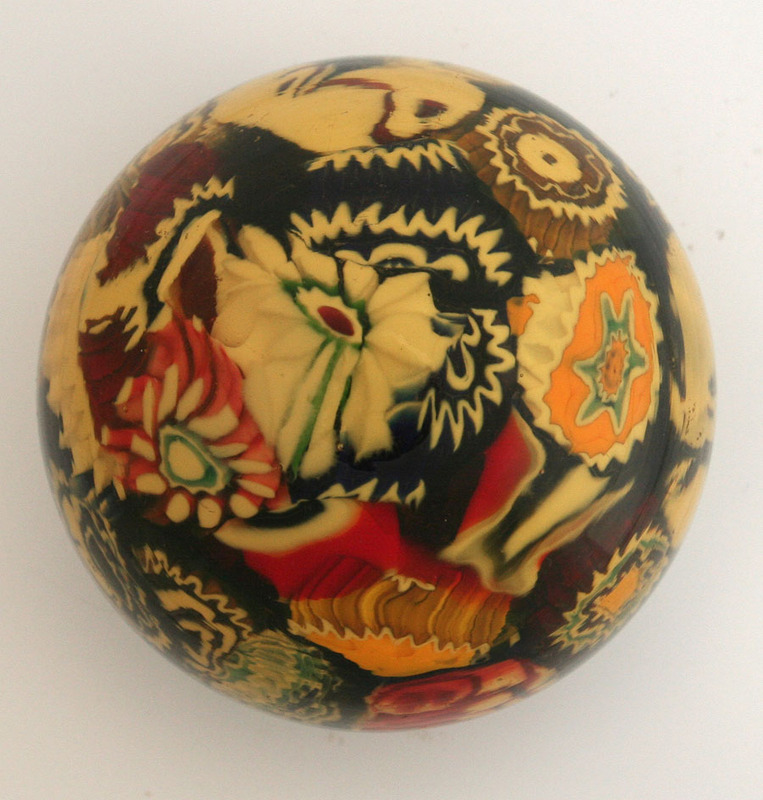 Identifying Murano paperweights is not a straightforward task. 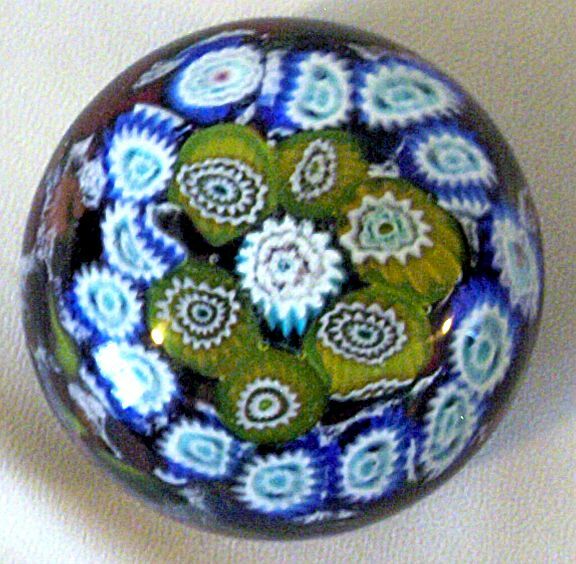 It is not possible to make a positive attribution of a Murano paperweight just because it has Murano canes or carries a Murano label. 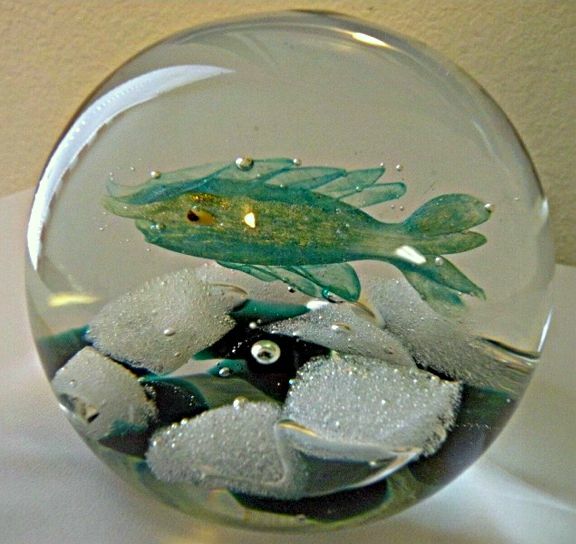 Paperweight makers outside Murano have used Murano canes at times - for example, Liskeard Glass and Royal Brierley in the UK, and Jim Hart in the USA. 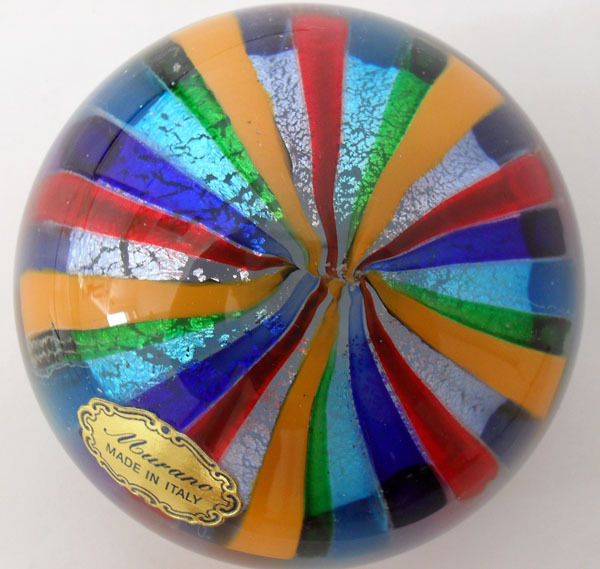 So identifying a Murano cane in a paperweight does not guarantee it came from Murano, let alone which factory. (The 'false friend' problem). 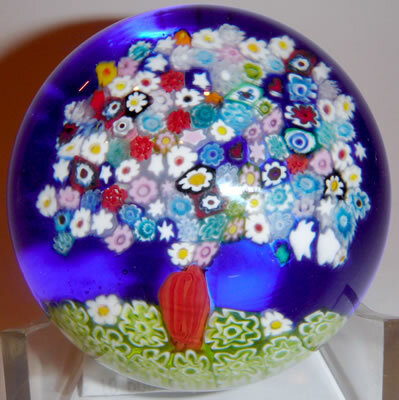 Secondly, neither a Murano label nor the fact the paperweight was bought in Murano guarantees that it was made there. 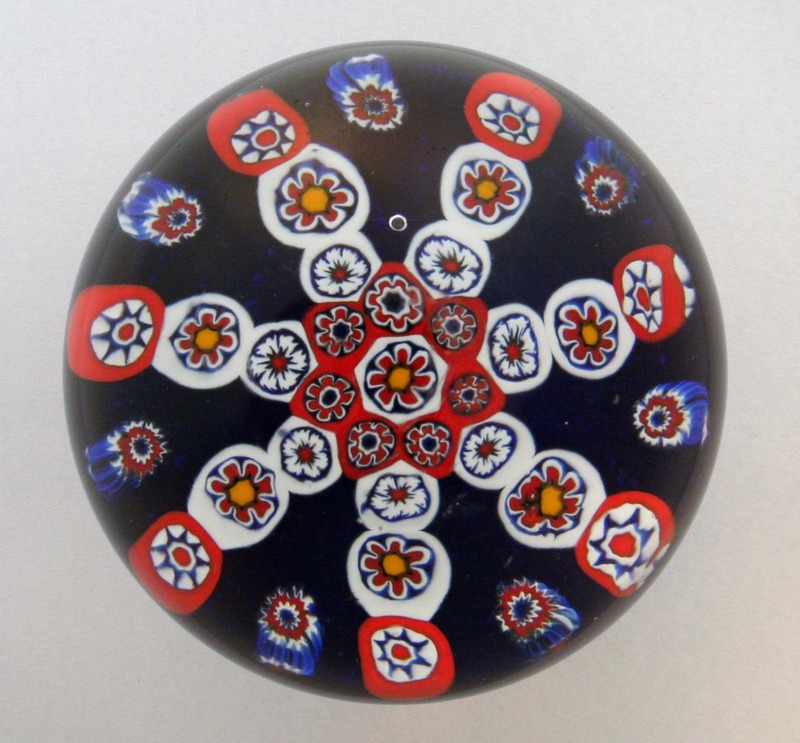 Significant numbers of Chinese weights have been sold in Murano / Burano / Venice in the last few years, some bearing Murano labels or ones intended to sound Italian - eg Verruci Bregogna. (The 'grey import' problem). Examples of 'false friends' and 'grey imports' are included for reference. 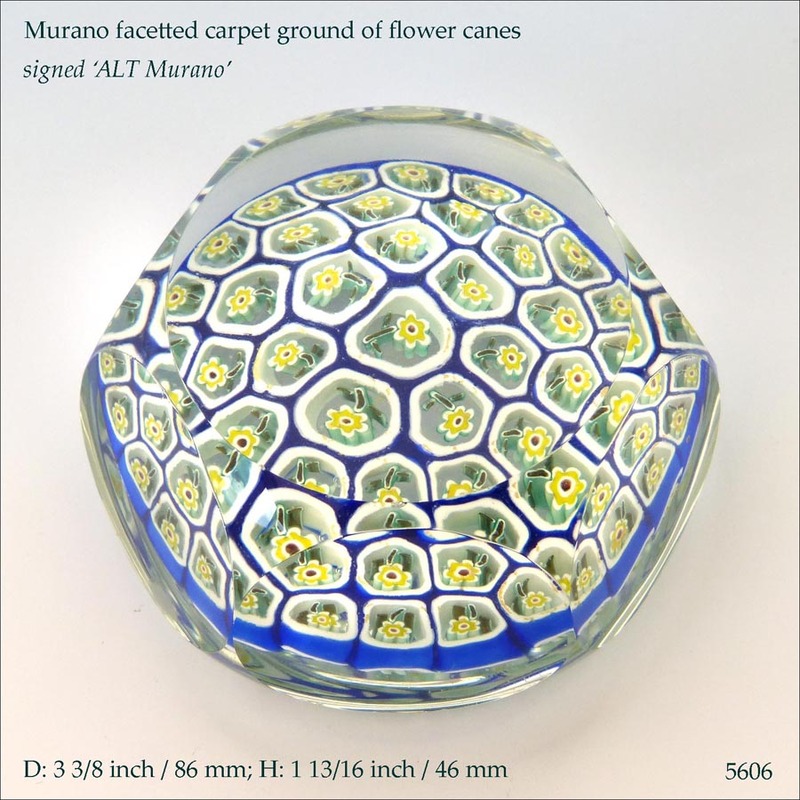 only a small number of Murano factories produce millefiori canes, wheras a much larger number produce paperweights, having bought the canes. 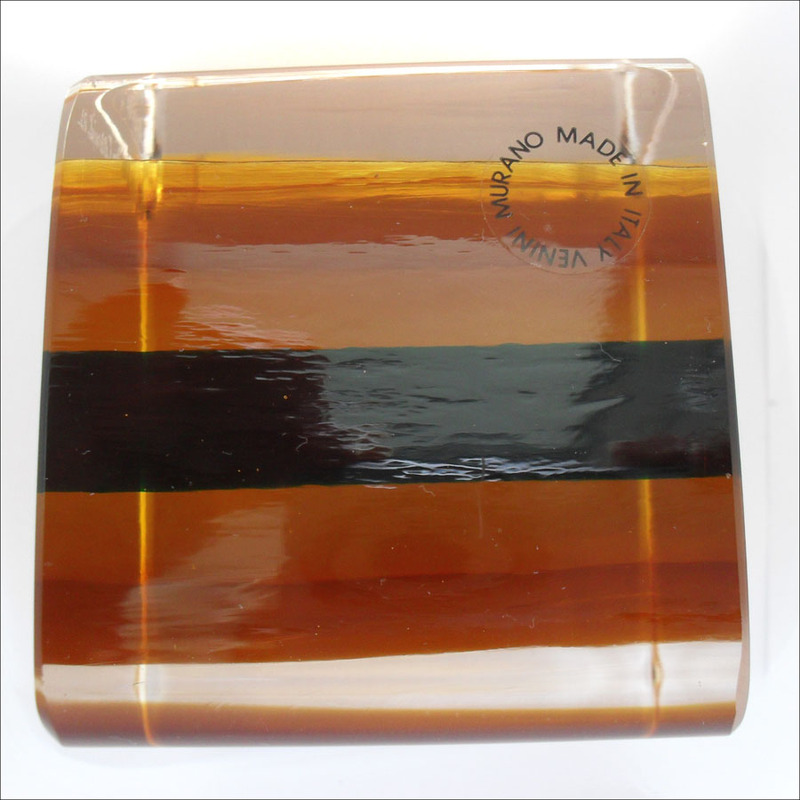 many labels are those of importers or wholesalers rather than the original makers. 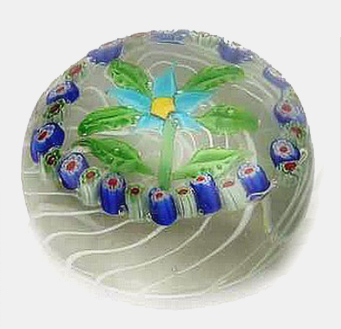 a flat, polished, and well defined circular base. 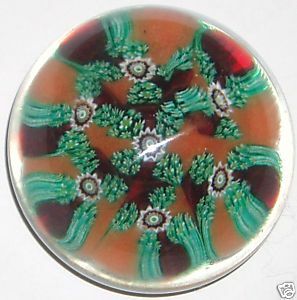 the use of aventurine (goldstone) in the design. a 'commemorative' date on a plaque; there are many different dates, 1885 being fairly common. These dates are not the date of manufacture, which is the second half of the 20th century!